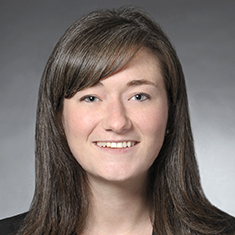 Kristin Coveney focuses her practice on complex civil litigation and governmental investigations involving the financial services, retail and higher education industries. She has experience with multidistrict litigation and has represented clients before the Federal Trade Commission (FTC) and Commodity Futures Trading Commission (CFTC). Prior to joining Katten, Kristin was a law clerk for the Civil Division of the US Attorney's Office for the Southern District of California. While in law school, Kristin taught classes to Chicago Public School students as part of the Citizen Schools program and served as symposium editor of The University of Chicago Legal Forum. As symposium editor, she organized "The Civil Rights Act at 50 Years,"an event that brought together academics from some of the nation's leading universities.